What would a clear and easy to understand breakdown of how to start a new ecommerce brand look like? Wouldn’t you like to know a proven method that shows how to get a brand up and running that generates $100,000 in 31 days? Does that sound too good to be true? It’s not! On this episode of The Amazing Seller, you’ll hear from Scott as he shares 7 steps you can start working on today that helped him and his new brand reach the success they’ve enjoyed. The work isn’t easy but if you can follow the steps, you will be in a good position to succeed. Have pen and paper ready, you are going to need it! Don’t expect to get rich overnight! It can be tempting to get overly excited and ambitions when you see numbers like $100,000 in 31 days. Fight that impulse to believe that you are going to strike it rich overnight. What Scott has developed here is the groundwork that will help sellers like you get into the best position for success. On this episode of The Amazing Seller, you’ll hear Scott explain his process and exactly what steps he and his team used to build up their new brand. Remember, slow and steady wins the race! Create milestones and goalposts that you want to achieve but make sure to have long view approach. Learn more from Scott’s seasoned perspective on this episode! Find a market that has a following. Before you even pick a product, it’s important that you find a thriving and vibrant market where you can start building your brand. Don’t assume that you can pick the product first and then find a following, it doesn’t often work like that! On this episode of The Amazing Seller, Scott goes over the best way to identify a large market, how to niche down in that market, and find social media channels that will help you grow your brand presence. This is a vital step to pay close attention to, especially if you follow these steps and plan on building an email list! To hear Scott expand on this subject and more, make sure to catch this episode! Build an email list, it’s your best asset! If you’ve been around the TAS community for very long, you know that Scott is convinced that building an email list is vital if you want to have a successful brand in 2018. On this episode of The Amazing Seller, Scott shares why building an email list is so important and how it can serve as your best asset as you build your brand. With so many changes coming down from Amazon and potential changes coming from Facebook, it’s wise for sellers like you to take the time and invest in an asset that you control. Listen to this episode as Scott provides further insights into this important topic! Make sure your product listing is optimized. If you want to have the most successful experience as you build your ecommerce brand, you’ve got to start by selling on Amazon. While the hope for many ecommerce sellers is to eventually move or expand their business to multiple channels, Amazon remains the best one to use for sellers getting started. 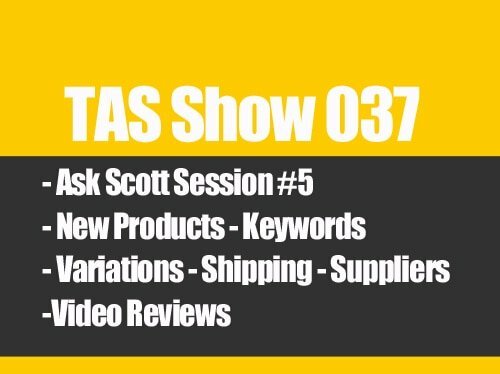 On this episode of The Amazing Seller, Scott explains why Amazon is the best platform to build your ecommerce brand on and how you can make sure your listing is optimized before the first viewer finds your product. Make sure you have all the tools you need to set your product and your brand up for success right out of the gate! 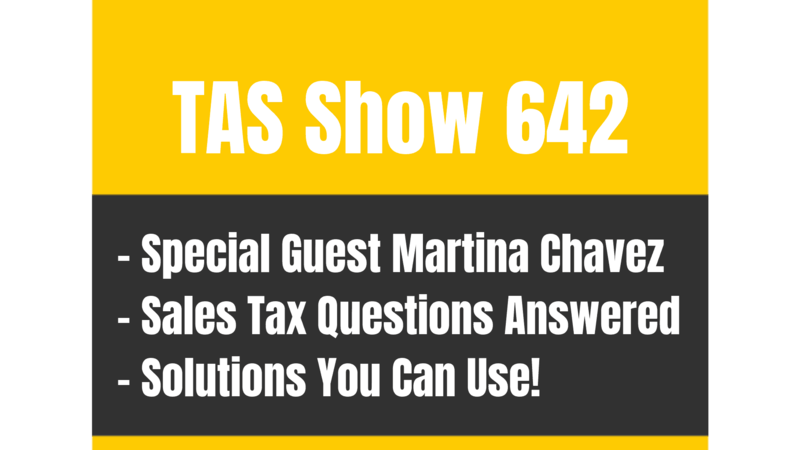 Don’t miss this helpful episode! [9:30] Don’t expect to get rich overnight! [11:30] The 10 x 10 x 1 strategy. [14:00] #1: Find a large market using the touch list method. [15:00] #2: Niche down in that market. [16:00] #3: Find social media channels that validate your market. [18:30] #4: Build an email list. [23:00] #5: Find low competitive products is key! [25:30] #6: Optimize your product listing. [30:00] #7: Continue spending on PPC even after the organic sales are there. [33:00] Why brand building is so important for success in 2018. [34:30] Scott recaps all 7 steps. [40:00] Product criteria that will help you succeed. [43:30] Closing thoughts from Scott. …in our new brand and I’m going to go through seven steps that allowed us to do this. All right. Now, let me repeat that. The seven steps are what allowed us to hit $100,000 in revenue in 31 days and I say 31 days because that was December of this year, 2017. We’re in 2018 but it was for last year, 2017, but just like a month ago because we’re just in January now and, yeah, it’s pretty fresh. And just a little side note, this month in January 2018 we are on track to do just about another $100,000 and we probably would have, we definitely would have, but we ran out of inventory on three different SKUs and actually four different SKUs and because of that, we’ve already found out and the month is only about halfway through that if we had that inventory, Amazon is telling us that we would’ve generated an additional $35,000 in revenue if we would’ve had that inventory but we didn’t. So, we are doing what we’re doing right now which is pretty remarkable with four less SKUs that we had during December, actually, most of December. We ran out towards the end. So, that’s what I want to cover with you guys. I kind of want to go and kind of cover those seven steps because it’s pretty clear to me moving forward in 2018 and beyond that, these seven steps are pretty much going to stay the same for me depending on what business I’m building but they’re pretty much going to stay the same. All you got to do then is really just start driving people to your offer and then building your email list, but all the pages are all built and you’re capturing the emails and your emails are being delivered automatically and all that stuff. And if you guys have not seen that process that we follow and that we use, I would definitely, definitely say go check out TheAmazingSeller.com/buildlist and we’ll show you exactly how we’re doing that. Now, I did want to mention this before we do get into the seven steps is there’s a couple of resources I want to point you to and if you guys have been following along with this new brand since we started it just about nine months now but I did a couple of episodes where I kind of went through some of these things that were happening and the first one is the story of our $6,810 day and actually $0.91 so $6,810.91. That was in one day and that one there was episode 448. So, I’m going to link all this up in the show notes. [00:03:57] Scott: So, the show notes to make it easy for you guys can be found at TheAmazingSeller.com/468 and then I’ll link everything up there. The other one, the other episode that is, is episode 450 and that one there was 0 to $200,000 in eight months and I wrote Roller Coaster Ride of E-commerce because it is a roller coaster ride. We had months that we did, in the beginning, $8,000 and then we had some that did $35,000 and then maybe the following month because we ran out of inventory, we only did $16,000 but now, I think, we’ve kind of fixed those problems and we also have more inventory as far as more SKUs so we’ve kind of widened the net if you will and I think it’s going to be harder to do less now than those lower months in the beginning but that’s the ride of e-commerce. That’s the roller coaster ride of e-commerce is really being able to kind of go through those dips and those highs and all that stuff. I mean, the $100,000 month, we did not think that was even going to be possible. We thought with the amount of SKUs that we had with the volume of sales that we thought we were going to had, a lot of predictions here, we thought maybe we could do $75,000 and that we would’ve been doing cartwheels, we would’ve been doing high-fives, we would’ve been jumping for joy, $75,000. Well, we had $75,000 in like the first two-and-a-half weeks, three weeks and we knew we had a chance at $100,000. And it was funny, at the very last day of the month, we needed like I think it was like 110 sales and we have been averaging like 130, 140 but it was after the holiday. It was after Christmas. So, and we were still having those days and we ended up hitting it. Let me see here. I’ve got the number here in front of me. It was $100,987.54. And it was 4,922 units and the average cost, the average sale price was $21.25. So that’s the breakdown. [00:06:05] Scott: The other thing I want to highlight here is this new brand, we don’t have “expensive products” yet. I’m doing the air quotes. Not doing that yet. We are planning on that. We have some things in the works right now that will give us products in a bundle kind of fashion where we’re going to be able to offer stuff for 39 and maybe 49, maybe even 59. So, the reason why I love highlighting that is because a lot of people in our space they brag about their big numbers but they’re selling a product that is a more expensive product. They have less sales, but the numbers look better, and the margins are usually less so to you guys it might look like, “Wow, they’re showing they did 1.5 million or 2 million but you’re not realizing that they are selling a higher priced item. Their margins are less so at the end of the day, their net is no more than what we just did. And then our net right now is running between 40% and 48%, almost 50%. We’re more pushing 50 right now and we’re doing some things to make that happen as well. So, I just kind of want to highlight that. I mean, we sold in one month almost 5,000 units at $21.25. So, that’s pretty good and the business isn’t even a year old and this is again in a time that people are saying like, “Ah, you can’t do it anymore. You got to get expensive products. It’s too competitive,” yadda, yadda, yadda. So, we went out there and we made it happen. I’m going to go through what we did and kind of give you guys a little bit of the walk-through of what we did but then what allowed us to do that $100,000 in 31 days. [00:07:47] Scott: So, the other thing I want to do, I want to remind you guys too is the workshop. I have a new workshop that I’m really using in this new brand as our case study in a sense to where I’m able to kind of walk you through the five steps, the five phases, to really get this thing up and running and have that possibility, that potential of hitting six figures which I think if you follow that process you have a really good chance but there are some things that you need to understand. So, in this workshop, it’s a new workshop and I’m calling it the five-step process I use to build a six-figure brand from scratch in under five months because that’s true. In our first five months, we hit $100,000 and then we just hit 100,000 in one month so that’s pretty awesome. And also, I’m also talking about selling low competition products and we’re also using Amazon as our launchpad. And I say that because we don’t plan on only selling on Amazon. We just are launching our products there and the reason why is because it’s an easier platform because the customers are already there, and they handle all of the fulfillment. They handle all of the refunds. They handle all of the customer service, all of that stuff. You guys know this. That’s why we’re so fired up about that but it’s a launchpad. I look at it as Amazon is the launchpad to launch our e-commerce business. Now, the first thing I want to say here before we get into the seven steps and I’m going to kind of just walk through these. I made some notes, but we did the work eight months ago in order to hit $100,000 in one month. Again, we didn’t think that when we started at eight months, but we knew we had a good chance to do well in fourth quarter, and we’ll talk about market and market selection and all that stuff here in a minute, but you got to understand, don’t expect to go in this thing and think you’re going to start today and in two months hit $100,000 or maybe even $50,000. [00:09:44] Scott: You have to have little goals but in the same breath, it’s going to become easier once you start to go through the process, but you also build out your product line, and I think that’s a big one. Moving into 2018, it’s having more than just one product. If you have one product there’s only so much you’re going to be able to do with that and it’s risky because you’re standing on one leg. And if you run out of inventory like we just did on four of our SKUs, you’d be out. You’d have no money coming in the door. Well, right now we have four SKUs that are out which we should be getting two of them in next week which is pretty exciting. We are still doing yesterday at the time that I’m recording this, we had 190 sales, 190 sales that would’ve never been possible if we would’ve been banking on the two or three or four different SKUs that we had launched that those were doing well. Actually, there are two of those SKUs that were averaging 25 to 30 sales a day. Now, let me do a little timeout here. You can’t see me right now but I’m actually doing the timeout like if we were on the basketball court. So, what I want to highlight here is when we are building this brand or any brand for that matter, we are not expecting to sell 20 or 30 or 50 sales a day on that one product. If that happens, that’s amazing but we are going after 10 sales per day. That is our goal on any SKU. When we ask ourselves the question, I’m going to give you guys some questions to ask yourselves and that we ask ourselves and all that but we’re asking ourselves that one thing, can we sell 10 units per day? Can we make $10 profit on average per unit for that one product? That’s what we also call our 10 x 10 x 1 strategy. That’s $10 profit, 10 sales per day, one product. [00:11:41] Scott: But you’re going to find that you’re going to have some products that do 20 or 30 or maybe different times of the year it does. Maybe yours is more gift-giving and certain times of the year there’s a gift that’s going to be giving around that time and your product fits the bill. So, guess what, you go from 10 sales to 30. That’s unexpected but the only way you’re going to be able to have that opportunity is to roll out more SKUs and that’s what we found. So, we have some SKUs that they might do five a day and then we have to reevaluate and go, “Do we still want to keep that? Are the margins still okay? Are we making at least 10 a day on that or $10 profit per unit on that?” If we are, we may keep that. We may keep that inventory. If not, we may liquidate it which we did on about three of our SKUs. We would liquidate those, and we would get rid of them and then we would reinvest into a new SKU. So, just keep in mind that none of these products we thought were going to sell 20 a day, 50 a day, 100 a day like we just had a product that’s sold over with there are two SKUs on it in two different variations. And between those two, we sold over 100 a day. Never thought that was even going to happen. But we have two other products that we’re supposed to get back in that we thought, and we’re supposed to get them back in next week, we thought that those products were going to do maybe 10 a day and they were averaging 25 a day. So, that was like a nice surprise. So, anyway, just wanted to kind of highlight that for you guys. We never go in this thing thinking that we’re going to go after these very competitive products. That’s why I talk about that in my workshop, TheAmazingSeller.com/workshop. There’s a registration link for it if you guys want to go attend that because I break everything down in there and I talk a lot about selling low competition products. And that is the five-step process that we’ve used to build this six-figure brand which will soon be a seven-figure brand. I can almost guarantee that. [00:13:41] Scott: So, we did the work eight months ago. I think that’s worth highlighting. Here are the steps I’m going to be kind of going through and I’m going to be going through these randomly and then I’ll kind of tighten them up and I’ll put them in a nice little group of you. So, number one, we found a large market. Now, how did we find the large market? Well, we use something we call our touch list or once we get through our touch list, we may have a new touch list because we’re in the market for something else and all of the sudden it comes across our mind or it comes across our desk or it comes across our vehicle. I was shopping for a Jeep. You guys may know this story and I share the whole story inside of our workshop where I was looking for a Jeep. Found out about that market. It’s a big market. I was like, “Holy crap, let me go ahead look at this market.” I did, and I show it all in the workshop but just to give you an idea like that’s what I did. So, that’s a big market. Okay. So, the big market would be just like off-road trucks and then you can say, “Well, let me find a sub-niche in that market.” That would be the Jeep or maybe it’s automotive. And you go automotive and then we go Jeep. And then we go from the Jeep, we could even a little bit deeper and we can go, “Okay. There are all kinds of Jeeps.” There are some people that just want to kind of make their Jeeps all customized. They don’t want to get them dirty but then you got some people that are Jeep owners that all they want to do is off-road and the muddier the better. So, that’s another niche inside of that one main niche or “neesh” depending on where you’re from. If you’re from Canada I think it’s “neesh”. If it’s from the States, it’s usually “nitch”. [00:15:44] Scott: And so, people actually fish out of a kayak. They make a special boat. They make all these different accessories but go even one level deeper, there’s kayak bass fishing. Kayak bass fishing, yes, so now there’s a whole other market there that we can tap into. And then what I did is I went and dug into Facebook groups. I go into Facebook groups. Is there already a group out there? And this is kind of like step two. I start looking at the Facebook groups. I start looking at YouTube channels. Are there people out there building these little communities, these little mini-communities? Some of them are big but let’s call them mini if they’re 20,000. That’s a mini one. If they’re large, they could be 500,000. So, we look and see on Facebook to see if there’s actually a market outside of just Amazon selling products. So, we go there, we look at YouTube channels and again, these could be also people that we reach out to in the future to be able to do a launch with us. So, there’s all of that stuff. So, again, we found a Facebook group and YouTube channels and all that stuff and that kind of validates that there’s a market there and actually people care. Okay. And I think that’s a big one. Do people care about this market? And that’ll tell you if they do. The other cool thing is then you can start to kind of listen in on the conversations. You can also see the content that’s being created. So, if you went to the YouTube channel and there was kayak bass fishing, you could see what people are posting and what that audience is into. There might be reviews about certain products that is serving that market. [00:17:40] Scott: If you do that, I still think that you should find the product that you see that has sales and then you can go back and start going through this process. I prefer the other way around because then I’m not looking at all of the same things that everyone else is looking at. I like to do it the more natural organic way. Because here’s the thing. If I’m going to do the work, if I’m going to do the work to build this brand, I want to make sure that I’m creating assets inside of that brand, email list which we’ll talk about here in a second. I want to have other assets, maybe my own Facebook community, maybe my own YouTube channel like I want those to be assets and I’ll talk to you a little bit here. Let me move a little bit further through this list. That’s assets for me and if I ever wanted to potentially sell, that would become a strong asset. So, again, I’m kind of just moving through this as I’ve kind of made notes here. Okay. So, the next thing is building that email list. Now, we did this even before we launched. Now, I told you guys like I’m talking about how we were able to do $100,000 in one month, in 31 days. All of this stuff that I’m talking about is really the work that we did to get to that month. So, we did the work eight months ago to have this month. And we’re continuing to reap the rewards of that work because even this month after fourth quarter is long gone and people are saying, “Oh, my sales have kind of dried-up. No one’s buying fidget spinners anymore and no one’s buying this little trinket or whatever,” we’re saying our sales are strong, actually a little bit stronger right now even with missing SKUs because we thought it through. We planned. We knew that if we had more products that served this market, we’re able to differentiate which we’ll talk about that here in a second too. [00:19:38] Scott: So, building that email list even before we launched, that was critical for us because we knew that we could build that email list and we could potentially launch with sales right out of the gate and that’s exactly what happened. We did it numerous times. Every single product that we launched, we go through this launch process with our email list that we built going through exactly what we talk about in the list building workshop. Again, I’ll throw the link out there. TheAmazingSeller.com/buildlist. That’s a different one than the last workshop I just gave you. The other workshop is more of like the overall like what we did. The list building one is really focused on how we built that list, why we built that list, how we communicate with that list and all of that stuff. Because what we’re doing is we’re building a list of people inside that market that are raising their hands and we did it before we even had a product and you would say, “Well, how do you do that?” You find something that’s related to that market. So, if we talk about the kayaking example, the bass fishing one, I would come up with a killer bundle for that kayak bass fishing community and that might be a kayak. The kayak might be $250. I might buy a kayak and then I might raffle that off or do a contest for that. All you got to do is enter your name and email address. Who’s raising their hand for that for the most part? People that are into that. Because I went into those groups, I talked to people in those groups, I did Facebook ads to those people, and then from there, start building that list. Now I don’t have that product built yet. I don’t have the accessories that’s going to bolt on the kayak or the fishing pole extender or whatever it is. I don’t even know what I’m talking about at this point. But you get what I’m saying, right? Then once I go to launch my product, I can communicate with those people and say, “Hey, I know that you’re interested in kayak bass fishing. I’ve got this new product that fits this kayak to help you in your next tournament,” with whatever it is, a fishing pole extender or a fishing pole holder or I don’t know what. Something. An anchor. [00:21:38] Scott: There’s like an anchor thing I’ve seen that they have on there that kind of goes over, so you can get it up quick and can anchor yourself or whatever. Any of that stuff, you get what I’m saying, right? There’s a much greater chance that those people are going to be interested because you just raffled off something that’s similar to your product. You know what I mean? So, from there you’ve got a much greater chance and that worked every single time that we did it. We were able to get between 150 and 250 sales right out of the gate generally within the first five to seven days. All right. Every single time. Now, what do you think that does to the algorithm inside of Amazon? It says, “People are buying this product.” Oh, and by the way, we don’t discount the product 90%. We do 30% to 50% about every time and generally, it’s usually 30% but sometimes we’ve done 50%. It depends on how aggressive we want to be. Okay. And so, because some people say, “Well, if you give 90%, Amazon doesn’t treat the sale the same.” We don’t do that, so it doesn’t matter. And so, what we do is we go ahead, we go through that kind of like that launch process and we do that over time. Now, the other thing to keep in mind is when you’re doing that, we spread that out over the course of five to seven days, sometimes ten days and then that way there, we’re getting that slow steady sales. Here’s the other reason why we don’t go after products that are selling 50 a day. We don’t have to compete with selling 50 a day. We only have to sell 10 a day or 12 a day, 15 a day to start to rank our products. All right. And that’s what we’ve done, and it’s worked really, really well. All right. Now we launched five products this exact same way within the first three months. In the first three months, we did that. Now, guess what happened though? We found out that there were two of the products after we launched, after we did a little bit of pay-per-click, after we felt like we gave it a lot of what we had, they weren’t performing well. So, guess what we did? We killed those two products. We liquidated them. We got our money back and we moved on. [00:23.38] Scott: We launched three more and they were variations. They weren’t their own separate listing product. They were variations of what was already working. So, we built on that. That’s another little tip for you guys. If you have a product that could lend itself to a size, to a color, to a shape, you may just want to add that because you already have momentum built on that and then other people that are coming in, they might buy one, they might buy two, they might buy one instead of the other, when they wouldn’t have bought any. So, that’s another great way to add products and SKUs to your product line is by adding variations. We did that on two different products and it worked really, really well. And the other cool thing is if you run out of inventory on the one variation, your listing doesn’t go down, so you don’t start to lose all that momentum with your BSR and all that stuff. And another little side note here, man, I just keep going on the side here don’t I? Because there are so many things that I’m thinking as I’m going through this. But let’s say that you run out of inventory on one of these SKUs and you have an email list. You can say to those people when you get the inventory back in, “We’re doing a special this weekend, three-day event. We’re going to give 25% off.” And now guess what? You instantly start to get sales and you get ranked a lot quicker than you would just kind of wait and let those sales start to come back because you’re looking at the history that you sold out on. Okay. So, that’s another reason why we build that email list. It helps us even boost sales once we run out of stock and we get stuck back in. That’s actually what we’re going to be doing here on these two new SKUs that we get back in stock. We’re going to be doing that exact process. All right. But we have that asset so it’s there. Now the other thing that we did here is we optimized our listings and I think it’s really important that you understand that when you are doing the work, you need to take the time to really have good pictures, really good title, really good bullets and make sure you do the keyword research, so you can plug them in the back end of your listing. [00:25:40] Scott: Now, I didn’t talk about the description because I think the description is really like secondary stuff, but I think it’s important but people I think you’re using that more of a way to tell Amazon more information about what you sell more than the customers scrolling down and reading that. That’s my opinion. So, I would say that’s not going to help you necessarily sell more to the customer, but it can help you get ranked for other keywords because now when Amazon is scraping your listing, they’re seeing that in the description. But I would focus on the title, the bullets and the back-end keywords. That would be my primary location for those. And then the next question a lot of people ask is, “Well, how do I get keywords?” One easy way is go to Amazon, type in your kayak bass and then stop there and see what it fills in for you and then look down below and see what it’s filling in. Those are some of your top keywords. Use those keywords. It’s totally free. We’re using Amazon as our research tool in a sense. Then I would also use tools like Scope. If you guys have not used Scope and you want to check it out, you can head over to TheAmazingSeller.com/Scope. I’m a big fan of it. It’s Seller Labs. That’s who created it. They also created Ignite. I’m a big fan of those guys and if you go to that link, I’m sure you’ll get a discount of some kind or a deal so go check that out, TheAmazingSeller.com/Scope so go check that out. And again, that is a tool that I use for looking at keywords that I can use from other competitors, other listings and it will tell me which ones are performing better than others, which ones are more relevant, all of that stuff. So, definitely go check that out. I am an affiliate for those guys. I do promote their tools because I use them, but I only promote the ones that I use or that I’ve used in the past that I think are still worth using and Scope is one of those. So, definitely check that out. But that’s how I find them. The other way is I go to Keepa, Keepa.com, and I look at the history. [00:27:40] Scott: So, we want to see like what’s been happening in the past so this way here I can kind of predict a little bit of like maybe their seasonality and maybe I don’t want to get into that product so that’s another thing that I’ll do. And then the other thing I’ll do is I’ll go to Google Trends and if I go to Google Trends, that will help me see the history, but it also sees if it’s an upcoming trend, if it’s a trend that’s dying. It’ll also give me keyword ideas inside of there. So, that’s another way to do that. And you can also use a Google planner and then there are other free keyword tools out there that give you ideas. The other paid one that I have that I use occasionally is MerchantWords but again all of these tools I don’t use as like these are like keywords that Amazon is definitely saying that I am going to be doing well for. They’re just for me to get more ideas. And another great way to get keyword ideas is start running pay-per-click and do an auto campaign or do a manual campaign on just a broad term. So, it could be like kayak fishing and then let that use or just use that as your broad term. So, this way here Amazon will start to fill in the blanks on the front-end and the back-end of that or anything close and then you can look at your report on the back end of your pay-per-click and then you can start to see real keywords that are being keyed then and you can get a lot of intelligence from that. So, that’s a whole other topic but we do that not all that much, to be honest with you. We do it a little bit. We use Ignite for a lot of our stuff and we allow that to really kind of pull in the date and then make those decisions. But that’s that. All right. So, your optimization on your listing is really important because once you start to get your sales, you want to start to rank, and that’s exactly what we’ve done here. And I keep going like off a little bit because it’s like all of these things that I’m talking about are what we did to get ourselves in line in place to do a six-figure month. So, all of this stuff didn’t just happen. We had to actually do it and I’m kind of trying to give you the play-by-play if you will that gave us the opportunity to be able to do that. [00:29:48] Scott: So, what we do, and this is another thing that a lot of people don’t do, and it was kind of hard for my partner to even understand this, you start to get sales organically. You’re selling 50 a day on a product. You’re like, “Holy crap, like we’re selling 50 a day. Awesome. Turn off pay-per-click.” No, no, no, no, no. No, we’re going to keep that pay-per-click firing. All right. Now I might dial it back a little bit, but I do not want to give up that placement. I do not want to give up that real estate at all and I also want to be the strong player in pay-per-click. I don’t know if Amazon gives us any extra credit but all I know is just the other day I looked at our pay-per-click and it was kind of silly because we did like we spent like $160, $170 for the entire day and we did that day over I believe it was like $4,000 in sales. So, I said to my partner, I go, “I’ll trade $160 for $4,000 in sales all day every day.” Now my ACOS was really good. I think we were below 16% which was awesome but those are campaigns too that have been worked. They have been refined. They weren’t always that good. I had a couple where I had to kill a couple of them. A couple of them were like 110, 115. I couldn’t get them to work so I just killed them but sometimes you have to do that but then you’re going to find some winning campaigns. Those are the ones you’re going to want to spend more on. So, continue spending on pay-per-click even after organic sales happen. Now, that doesn’t mean you’re going to keep spending aggressively like you’re launching because when you’re launching you might want to dial that up but even after the organic sales are there, we continue to run pay-per-click all the time. Just all the time and to me, that is just going to help us get rooted into Amazon’s algorithm and it’s going to get us more sales, period. That’s what we want. We want to keep getting sales. [00:31:49] Scott: So, again, I want to talk about the bad news of this and I talked all the while like what’s happening, what’s working and all that stuff. Now the bad news is that we ran out of inventory, okay, on four SKUs. I think it’s four SKUs. I’m lost there. It’s actually three SKUs but two variations on the one so technically it’s four. Okay. So, we run out of inventory and we looked at the inventory reporting that Amazon gives us, and it tells you that if you have that inventory in, you would’ve made this or you would’ve generated this in sales and ours was just over $35,000 as of right now which we still got about two-and-a-half weeks left in January from the time that I’m recording this. So, that’s going to probably increase until we get back in stock which should be by the end of next, I almost said next year, by the end of next week we should have that. So, let me just recap here real quick and also talk a little bit about the difference in 2017 and 2018 and beyond in my opinion but also from what I’ve seen and what I believe in. The difference is this. It’s not going to be the same as in 2015 you find something, a fidget spinner type item, you sell a whole bunch of them, you ride that wave, and then you go on to the next. Like it’s not going to be like that. Even in 2017, it wasn’t that easy although some people did pretty well on the fidget spinners. But a lot of people also lost their shirt because they bought too much inventory and they got stuck with it and now you got to get rid of it. So, that would be like the one thing just to kind of throw out there is like when you piggyback off of like a trend that you know is going to be really short-term, that’s risky. So, the difference to me is you need to look at it as you’re building a brand that serves a market and you can niche down inside of that market and make yourself different, unique. [00:33:47] Scott: And to be different or unique it doesn’t mean that your product has to be 100% like this groundbreaking like mind-blowing product. It could mean that your brand, your personality, your content could be better, could be different, could be more educational that people will want to buy your product. Or it could be your story. If you have a story that you can weave into your brand, then definitely, definitely do that. So, here is kind of like my little seven steps but my recap kind of like my flowchart. Find a big market but then you need to niche down in that market. So, find a big market and then niche down in that market. All right. Then from there, find Facebook groups, YouTube channels, Instagram, find all of those so this way here is we can kind of validate that there’s a market there talking about our sub-sub-niche in this market, in the big market. It’s not like if you find a group on automobiles, well, you’re probably going to find ones that are more specific on Mustang lovers. I’m a Mustang guy so I’m going to go and find like classic Mustangs and probably find a whole community out there for that. So, see how we went from automotive which is a massive market. We subbed it down into classic cars and then we went one step deeper into Ford Mustangs. We could’ve went with Dodge Challengers. We could’ve went with those or even just muscle cars in general. Same thing with the Jeep market. We went through that. So, find groups and markets or submarkets or subgroups inside of that big market. From there, building the email list to me is critical. This gives us leverage and actually I’m going to be doing an episode here pretty soon talking about Facebook and how they’re changing a lot of things and they’ve done a lot of changes just like Amazon has, just like Google has, just like YouTube has. [00:35:48] Scott: These channels are always, always changing their rules. They’re changing their algorithms, all of that stuff. But what’s really, really held and stayed over the years is email list and communicating with people through email. All right. And now there’s some other advantages that happened with email list building now like being able to take your email list and upload it to Facebook and do retargeting campaigns and all of that stuff and look-alike audiences like that’s still going to be there I think for a while and maybe even new platforms, who knows? But building that email list and communicating with those people is still really, really powerful. And guess what? You control that. So, let’s say that Facebook does rollout this new change that they’re going to be doing. You can direct people to a piece of content and you can give Facebook maybe what they want and what they need. Maybe there’s saying that we want more engagement, we want more comments. So, you can send an email out to your list and say, “Hey, I just posted this new video showing you how to, whatever, use this new thing for your kayak fishing boat,” and then you do it and say, “Hey, do me a favor. Comment and let me know like if you’ve used one of these and how it’s helped your fishing or whatever.” So, you’re starting the conversation. So, you’re able to push traffic to that channel to give that channel what they want just like we are with Amazon in a sense and then from there, their algorithm will pick it up and then start to show your content. So, see, we can use it as leverage that way too, not even just sales driven. So, there’s so much that you can do there with that. Moving on. Finding low competitive products, I think is key. So many people want to go after the high competitive, really competitive products because the sales numbers are there more. I still think you can find low competitive products in your sub-sub-niche or market and I think you can do really, really well. And I think if you go at it with that 10 x 10 x 1 strategy, 10 sales a day, $10 profit, one product, I think you can do really well. I really, really do. [00:37:47] Scott: And then, of course, launching it on Amazon like launching the product on Amazon first. Why not? You can get your product to market in front of buyers immediately like why not? They take all of the hard work out of it in my eyes as far as merchant account. You don’t need that. You don’t need a support. You don’t need someone to handle refunds. You don’t need fulfillment. You don’t need any of that stuff. You don’t need a website. All you got to do is use their platform so launching on Amazon and then using their sponsored product ads or pay-per-click, using that to your advantage, getting in front of their buyers. People are on that platform to buy product. You can use Amazon’s pay-per-click, their sponsor product ads, to be in front of your audience and your people and your market almost immediately, immediately. And then rinse and repeat and just do it. Now, you might not have to repeat finding the big market and niching down although I think you could still niche it down once you even establish that market because you may find two submarkets inside of that one main market. So again, the kayak fishing, you might have kayak fishing for bass and kayak fishing for trout. I don’t know. I’m throwing it out there. Probably doesn’t exist but you get what I’m saying, right? Same thing with the Jeep, you might find the Jeep market, you have Jeep Wranglers and the Jeep Wrangler market might be one of them is just customization making theirs like really pimping out their ride, making it really nice and everything is perfect, and you have another one that’s all about mudding, all off-roaders. So, you have two different submarkets inside of the same market that you could serve and we’re actually doing that right now in the new brand that we have found another market that we can take a lot of our existing products just modifying them a little bit, tweak them a little bit and make them adapt to another market that is really close to our market. So again, that’s kind of how we’re going to do it. So, you’re kind of doing that. You’re finding another submarket inside the big market but then from there you just rinse and repeat. You just rinse and repeat. [00:39:43] Scott: So, find a big market, niche down, find groups out there, build an email list, find low competitive products, launch on Amazon, use Amazon-sponsored product ads, the pay-per-click, and then rinse and repeat. All right. That is it. That is what we’ve done and we’re going to continue to do. So, if you’re expecting to have a product that you think that people will stumble across, wrong attitude. You got to figure out if a product is being searched for and the way you do that is you find similar products or even a product that is really close to yours that you’re going to modify and then you can look and validate that the sales are there. The sales I’m talking about are like I said 10, 15 a day. That’s what I’m looking at. $20 to $50 is another kind of criteria point that I look at. I want to have a product that sells between $12 and $50 in retail again but then I want to source it for the right price as well. Like I said, if I’m selling your product for 20, the max that I’m going to pay for that is five, landing all the way into Amazon like that’s high actually. I’d like it four-ish. And then 200 reviews or less, again, that goes into your competition. That goes into how competitive it’s going to be. I don’t want to play the review game. We have products that we’ve launched with zero reviews and then from there we turned on pay-per-click and we’ve gotten sales because our products that we’re competing with have 50 reviews for 75 or 150. They’re not driven by the reviews. [00:41:40] Scott: I talked about 10 sales per day but consistently I want to stress that. They need to be consistently there, selling 10 per day. And the other thing I want to do is look at the listing and see if it’s flawed. Is the listing flawed? And what I mean by that is the title not good? Are the pictures not good? And they’re still selling? So, the cool thing is if they’re still selling 10 a day and their pictures are flawed or their title is flawed or their bullets are flawed, that’s a good thing for you. That means that people don’t really care about that stuff and if you do a better job, there’s a good chance you’re going to be able to sell. All right. So, that’s where I kind of get into kind of the optimization as far as are they under optimized. And then the other thing is differentiating. How do you differentiate? You look at the bad reviews of your competitors or similar products. See what people are saying. See how you can make yours better. I use an example in our workshop where there were these little plates that went on the back of your taillights of a Jeep. They were kind of like grills that go over top of them. They’re steel and they have screws that attach. Well, people are complaining that these screws were rusting, and they thought that it was really a great product, but the screws were terrible. So, what’s the easy thing I could do? Get some better screws. And then now my screws are going to be better. I’m not going to get negative reviews. They’re going to have negative reviews. I’m not. So, that’s one simple little tweak. New screws like screws that don’t rust like that’s it. Okay. So, that’s kind of like the product criteria stuff and then the last thing is looking at the history and I mentioned this briefly but you want to look at Keepa.com or CamelCamelCamel.com, Google Trends, look at all that stuff and see how the sales have been over I would say at least four to six months but preferably longer, a year, two years, and this will give you a good idea on their BSR over time, their pricing over time. Because sometimes you’ll see it starts out really good and it’s priced at $20 but then over the years they had to lower the price to $10. That’s not good. We don’t want that. So, that’ll help you not make that mistake and see that before you actually go in with that product. [00:43:45] Scott: And then the last thing really is don’t overcomplicate this process. It doesn’t have to be complicated. This is actually everything that we did to a T to get ourselves in place to be able to have that $100,000 month. If we didn’t go through this process, we might have had 50% of those sales or maybe even 25% of those sales. I don’t know. All I know is we followed this process. We’re going to continue to follow this process and even after fourth quarter in January of 2018 right now, we are on track to do close to another six-figure month. It might fall short because we’re out of inventory. We might hit 90,000. I don’t know but we didn’t think we were going to be there after fourth quarter as much as we are right now. But guess what, we got in the game. We got in the game. We didn’t have this idea of this product. We didn’t use a tool, number one, to help us find this product. Now, what we did use the tools for is to validate but then to also look through and make our process as far as going through the numbers quicker. So, you guys know I’m a big, big fan of Greg Mercer and Jungle Scout. So, the one tool that I think everyone should have in their tool bag is Jungle Scout, the web or, I’m sorry, the Chrome extension. The web app is great for tracking. For me, I use the web app as a tracking tool but the one that you must, must have is the Chrome extension. Okay. The Chrome extension goes into Chrome. That’s the one I think you definitely have to have. It speeds up the process so fast and it just gives you all the data that you need. That’s what we use and that’s what I do every single time. I hit Jungle Scout as soon as I see a product, or I think a product and I see if it’s going to be something that I can sell using all of the data that it’s pulling in for me. [00:45:41] Scott: If you guys have not checked out Jungle Scout yet, you can definitely check it out and to get a discount by using my link and you guys know that I am a promoter and an affiliate of Jungle Scout. Great product, Greg’s a great guy, great friend of mine as well but you can head to TheAmazingSeller.com/JS and you can get that discount and some other additional resources and just know that you will buy me a cup of coffee if you do go through that link and I appreciate it. And by the way, I do have coffee sitting here right now and I appreciate it so thank you. I love my coffee. So, just don’t do over complicate the process like I said and there’s nothing secret here, guys. I’m giving you everything, the play-by-play. If you want more of a visual, then I would say go to the workshop at TheAmazingSeller.com/Workshop and I’ll walk you through everything that we did to launch that brand from scratch. So, let’s wrap this up. The show notes can be found at TheAmazingAeller.com/468. You probably definitely going to want to go there because there are a lot and they’re good. So, I would definitely, definitely do that. The workshop, TheAmazingSeller.com/Workshop, and you can get registered there and we’ll walk you through that entire process step-by-step and kind of give you that little case study of us building a six-figure brand. So, guys, that’s it. That’s going to wrap up this episode. Remember, as always, I’m here for you, I believe in you and I am rooting for you, but you have to, you have to, come on, say it with me, say it loud, say it proud, take action! Have an awesome amazing day and I’ll see you right back here on the next episode. Great podcast Scott! Listening this while working on Amazon listings. Keep up the good work!